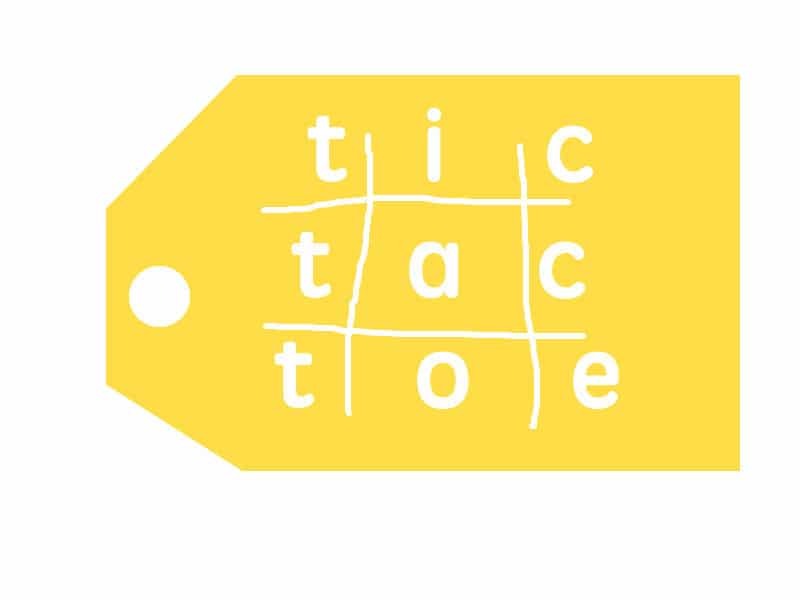 I will start with that my daughter adores TIC TAC TOE. She plays it anywhere, anytime and begs anybody to play with her. It’s a great game I think. 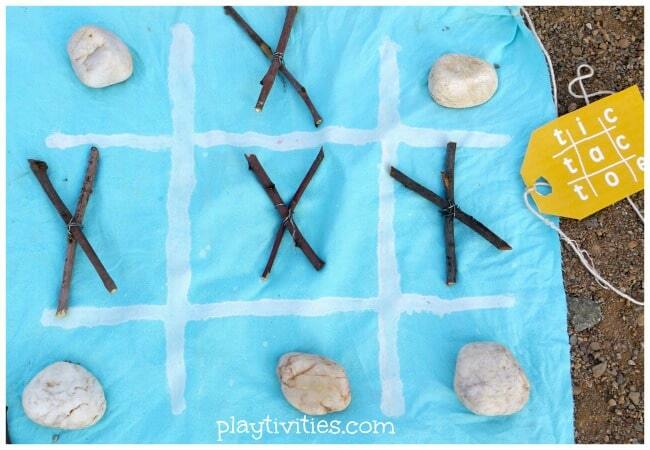 Since we are spending most of our time outdoors now I thought of making one set of Tic Tac Toe for outside play. It came out lovely and Sofia has a new favorite toy she can carry around. 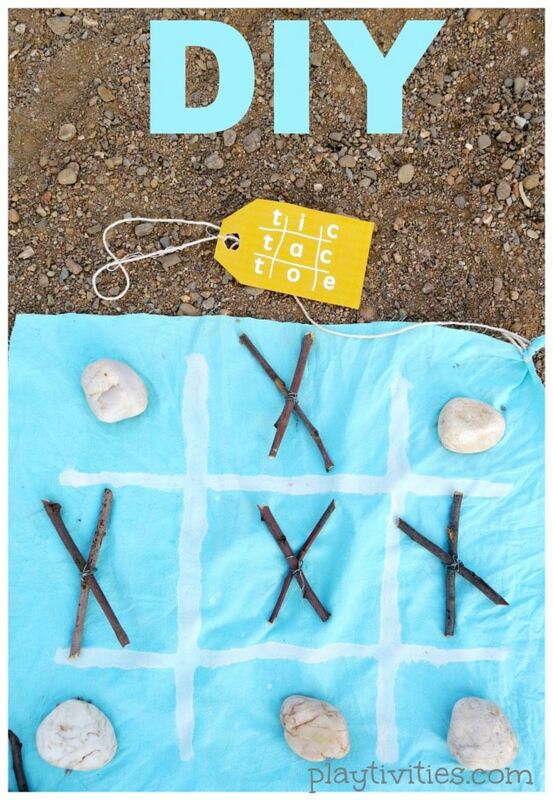 I love Tic Tac Toe because it’s a game and at the same time a great tool for teaching concepts of good sportsmanship and the branch of artificial intelligence that deals with searching of game trees. 1. Got the sticks and the rocks from our nature treasure hunt/walk. The task was to find sticks that were the same height and the rocks were as round as possible and similar size. Of course you can also cut the sticks. 2. We put two sticks on top of each other to form X and tightened them with metal wire. You can glue the sticks or tie them with robe or even tape. 3. 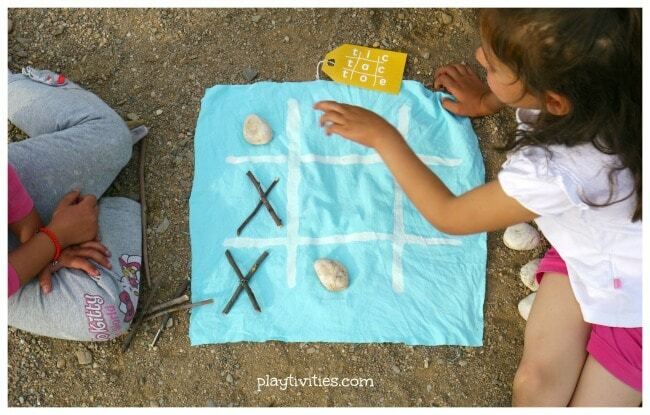 Cut out square piece out of old linen sheet and drew Tic Tac Toe board lines: two vertical and two horizontal crossing each other. We used acrylic paint, but you can also use permanent marker or any other paint you have on hand. 4. 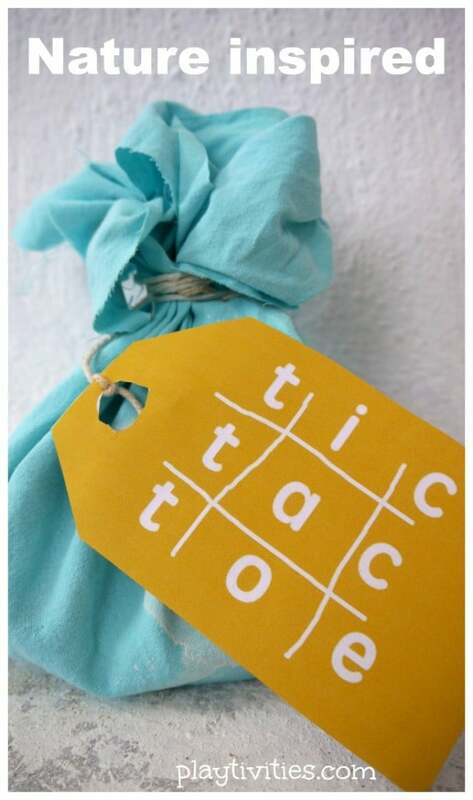 Tic Tac Toe Set is a great toy itself but it’s all about presentation too. Especially if you want to give this as a gift. I made a tag (picture below) and I attached it to the “fabric board”. I simply tied one corner of fabric with rope and I attached this tag to the other end. I made this tag into a free printable for you if you decide to use one. Make sure to check out more toys that we made.